Even though we’re almost through the winter months, temperatures across New Jersey are already annoying. The Holiday Season during winter has a lot of reasons for us to be happy about, as it is full of surprises, presents, generosity and good will mostly everywhere. However, it is also common for a lot of people to “feel down”, “with the blues” or depressed due to the shorter days and lack of sunlight exposure. 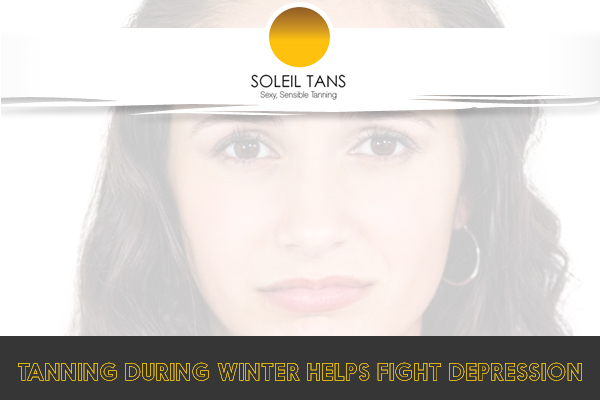 SAD or Seasonal Affective Disorder, is a severe condition that can be developed, which refers to episodes of depression that occur annually during fall or winter. The disorder is known to begin in adolescence or early adulthood and usually occurs more often in women compared to men. Its symptoms can include: afternoon slumps with decreased energy and concentration, increased appetite with weight gain, increased sleep and excessive daytime fatigue, lack of energy and loss of interest in work and other activities, slow, sluggish, slow movement, social withdrawal, and unhappiness and irritability. Differences between general depression and SAD include weight loss as opposed to weight gain and problems sleeping instead of increased sleep. Not yet fully understood how. For these reasons, vitamin D has been linked with depression and with other mental health problems. from food, as the body can’t make them. Vitamin D. The UV light produced by a tanning bed is just like the one from summer sunlight: about 95% UVA and 5% UVB.